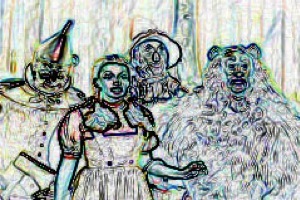 Welcome to an exploration of the symbolism, archetypes, and metaphysics of The Wizard of Oz. Please GO HERE for a great introduction and rest assured there is more on the way! The images of myth are reflections of the spiritual potentialities of every one of us. Through contemplating these, we evoke their powers in our lives.